Burnt marijuana smell does not automatically permit warrantless home search | Jon Katz, P.C. Burnt marijuana has a pungent and funky smell that exposes marijuana smokers to police searches. Appellate courts repeatedly have given cops the green light to conduct warrantless searches upon smelling burnt marijuana. Defending against such searches calls for attacking the totality of circumstances, including how strong was the odor, from where it emanated, and the officer’s personal knowledge of marijuana smell (how on earth can a law-abiding police officer know whether s/he’s smelling marijuana or another substance?). It is particularly time to pounce on the search and the officer’s credibility when the cop claims to have searched due to marijuana smell but is unable to show any recovery of any remnants of marijuana or marijuana paraphernalia. Moreover, when unburnt, marijuana can be very difficult to recognize by smell. "While no one disputes that the odor of burning marijuana was evidence of a ‘crime or contraband’ in the trailer, the only basis upon which the police could conclude that Ms. Duran would ‘destroy’ the evidence before a warrant could be obtained was their belief that she would ‘smoke it up.’ Unlike Mr. McArthur,who knew that the police were onto him, Ms. Duran did not know that law enforcement officers were aware of the presence of marijuana in the trailer until they broke through the door. Most significantly, there is no indication that the law enforcement officers engaged in any effort, much less a reasonable one, to reconcile their law enforcement needs with the demands of personal privacy. In fact, to the extent that the officers engaged in any assessment of competing interests related to the acquisition of a warrant, they balanced their desire to avoid the inconvenience of seeking a warrant against Ms. Duran’s privacy interests and concluded that convenience was more important. We cannot countenance this attempt at ‘reconciliation’ and at the same time keep faith with our duty to interpret and apply fundamental constitutional guarantees. We therefore affirm the court of appeals." 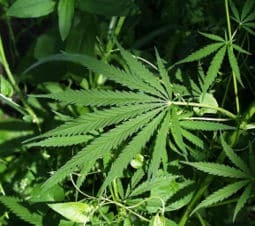 Of course, when police smell burnt marijuana, they see an opportunity not only to search for marijuana and marijuana paraphernalia, but to search for all contraband, including other drugs and handguns. Duran helps rein in police excitement to search upon smelling burnt marijuana. Jon Katz.